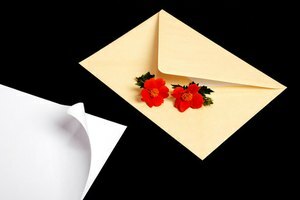 Traditional place cards are tented. 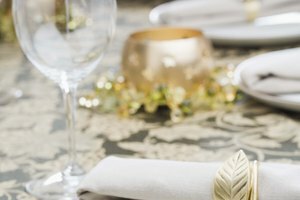 It may seem strange to tell adult guests where to sit at your wedding, but place cards can help you avoid a lot of problems and create a more pleasant dining experience for your guests. 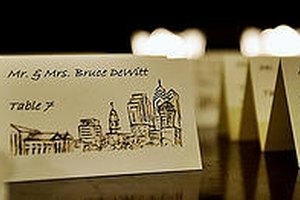 Place cards guide your guests to an assigned table and sometimes an assigned seat as well. And although they are called "cards," they don't have to be -- many couples write names on small favors instead, such as a seashell for a beach-themed wedding. 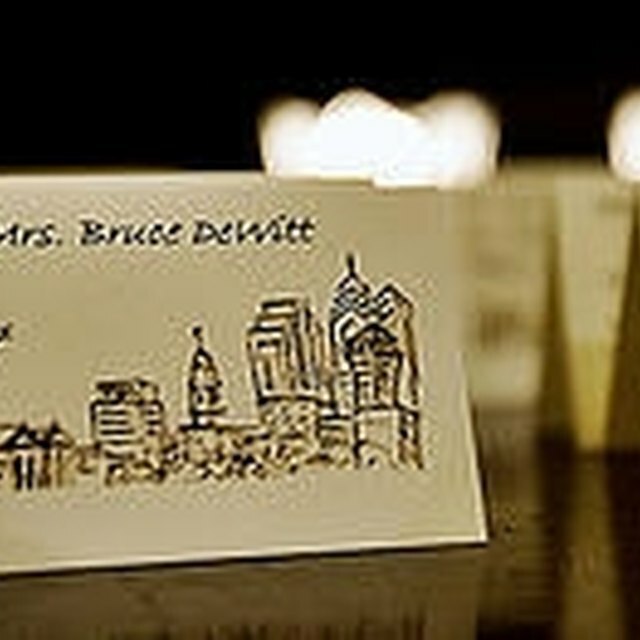 Place cards should be created for each guest, including married couples. If you don't know the name of the person who a guest is bringing, call and find out or leave the space blank so your guest can write in his date's name. Keep in mind, however, that only very formal receptions need place cards at each setting. 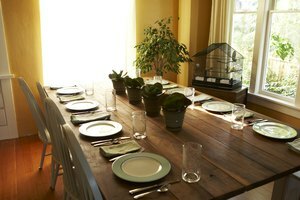 Instead, consider assigning tables and letting your guests choose their own seats. To do this, group all of the place cards together on one table near the entrance to the reception, and write the table number on each card. When each guest finds her name, she will make her way to that table and then reserve her seat by placing her place card on or near the plate. Sanders, April. "Wedding Table Place Card Etiquette." 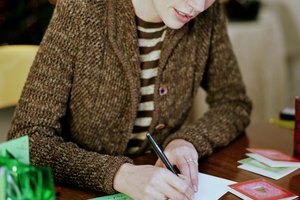 Synonym, https://classroom.synonym.com/wedding-table-place-card-etiquette-15394.html. Accessed 24 April 2019.